Play-to-learn days have become the highlight of our math workshop! 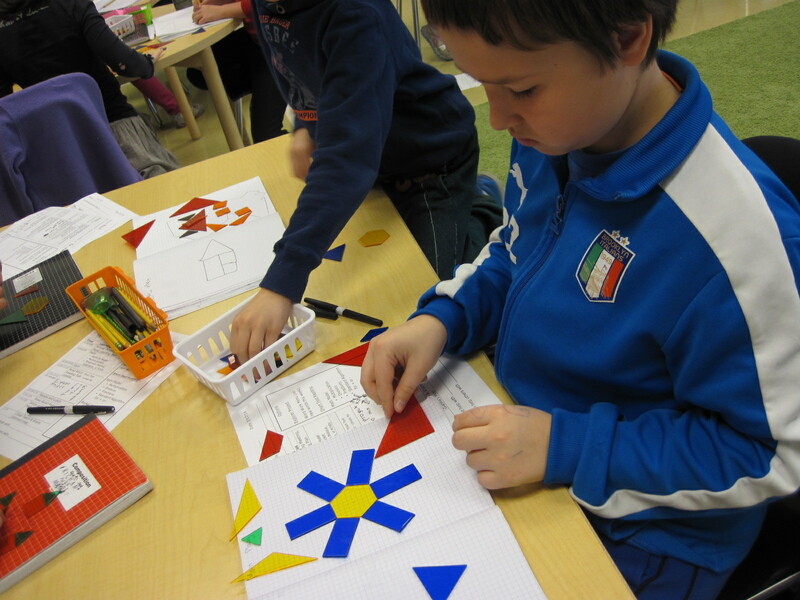 We just spent the first few days of our exploration of geometry looking at polygons and angles. We knew we wanted to have a couple of days of play before more formally launching the unit. We also thought it might be useful to talk about the other play we’ve done in math this year. We reminded students of the Array Play Days, and of our Fraction Play, and discussed how play leads to discovery. It was interesting to liken the play we’ve done in math to the play they do when they are playing outside of class. At first they had seen it as something very different. 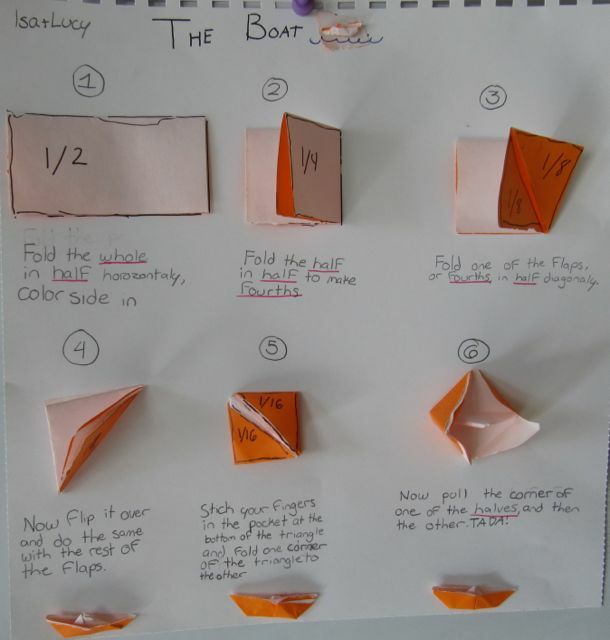 They decided to use origami as a way into fractions. Back in October we were getting ready to start a new unit in math- or maybe it was a new section of a unit. We had spent some time exploring arrays and how they are one model for multiplication. It felt to me as if kids understood this, but in a very school-y sort of way. They could dutifully draw an array to represent 13 X 7, but then would not actually ever use arrays to help solve any problems. I guess it felt like arrays fell under the category of “stuff the teacher wants me to do,” and not, as I had hoped, “stuff that can help me,” or even, dare I dream, “stuff I think is cool.” I was ready to move on anyway, chalking this up to generational disconnect. “They’ll think arrays are cool when they’re old,” I told myself.